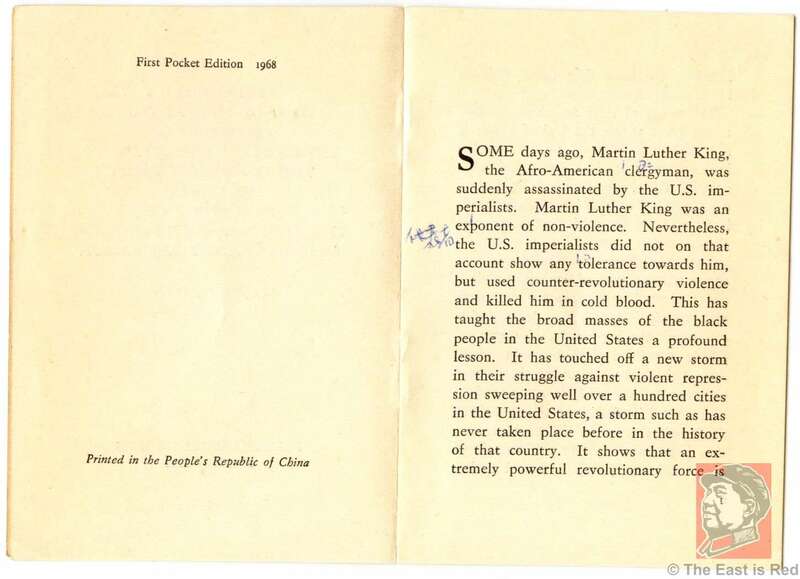 This is fascinating booklet where Chairman Mao capitalizes on the assassination of Martin Luther King Jr. in 1968. 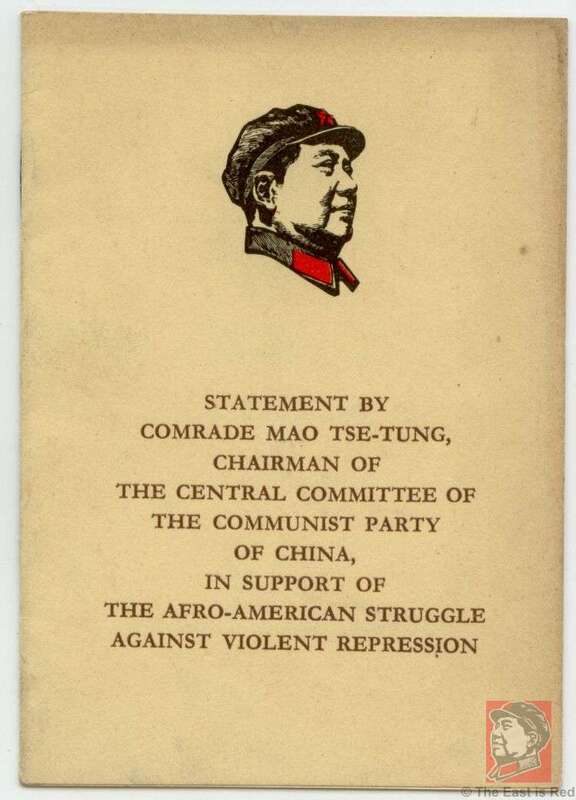 In this speech of April 16, 1968, less than 2 weeks after King's death, Chairman Mao sees an opportunity to gain support among not only the black population, but, 'all exploited and oppressed people of the United States'. 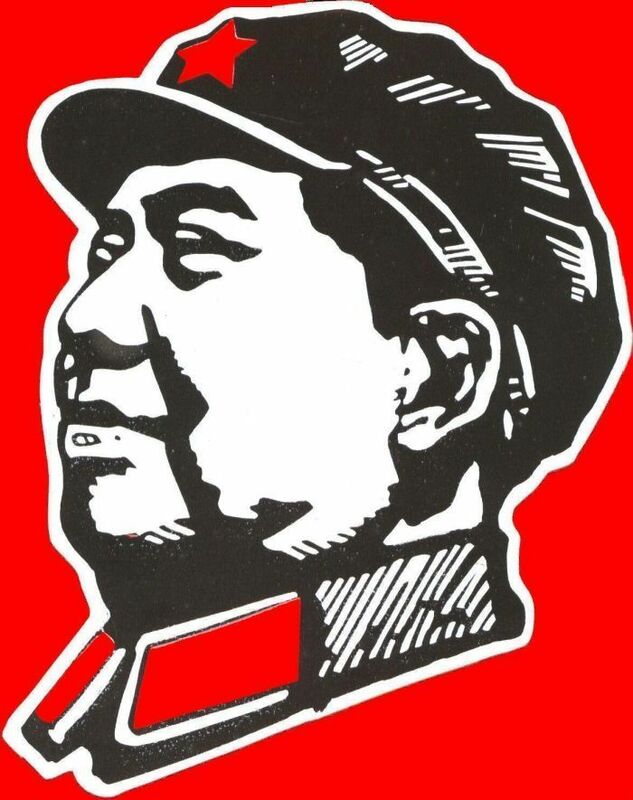 This is an excellent example of communist propaganda making use of current events to push forward their ideology. This is the first pocket edition, published by the Foreign Language Press in 1968. There are 4 margin notes in the 5 page booklet, similar to the one seen in the scan above.